Democrats are up by double digits in Senate and governor races, and lead on congressional control. WASHINGTON — Two years after Donald Trump came close to carrying Minnesota in the presidential election, Democrats enjoy double-digit leads in the state’s two Senate races, its gubernatorial contest and in voters’ preference for party control of Congress — while more than four in 10 likely voters strongly disapprove of the president’s job performance, according to a new NBC News/Marist poll. The glum picture for the GOP comes as both parties point to the state’s four competitive House races as bellwether contests in the race for control of the lower chamber. The poll finds that 53 percent of likely voters prefer a Congress controlled by Democrats after the November midterm elections, while 41 percent prefer Republicans. Asked another way, if the midterm election was tomorrow, 54 percent of likely voters in the state say they would vote for the Democrat in their district, while just 40 percent choose the Republican. Democrats have the advantage on that question among all age groups, all income levels and every region except the conservative southern area of the state. And more than half — 56 percent — of voters say they want their vote to send a message in favor of more Democrats in Congress to serve as a check and balance on Donald Trump, while just 35 say they want more Republicans to help pass Trump’s agenda. In the race to fill the remainder of former Sen. Al Franken’s term after his resignation amid sexual harassment complaints, Sen. Tina Smith, the Democrat appointed to the seat, leads Republican Karin Housley among likely voters, 54 percent to 38 percent. In the governors’ race between Democrat Tim Walz and Republican Jeff Johnson, Walz leads 55 percent to 38 percent in a head-to-head contest among likely voters. When Libertarian Josh Welter is added to the gubernatorial ballot, Walz still leads 51 percent to 36 percent for Johnson, with Welter capturing six percent support. And in Democratic Sen. Amy Klobuchar’s re-election race, which has not been considered competitive, Klobuchar is besting GOP opponent Jim Newberger by 30 percentage points, 63 percent to 33 percent, in a head-to-head matchup. Democratic candidates in all three races also enjoy stronger favorability ratings than their GOP counterparts. Smith’s favorability with likely voters stands at 51 percent favorable and 26 percent unfavorable, while just 32 percent have a favorable opinion of Housley, 25 percent have a negative one and 42 percent have not heard of her. For Walz, who has served as a Democratic member of the House in a relatively rural district since 2006, 56 percent of likely voters have a favorable impression of him, while just 24 percent have an unfavorable one. Republican Jeff Johnson, on the other hand, is underwater, with 38 percent giving him a thumbs-up and 41 percent giving him a thumbs-down. But it’s Klobuchar, who has occasionally been mentioned as a future presidential candidate, who enjoys the most strikingly high popularity in Minnesota. 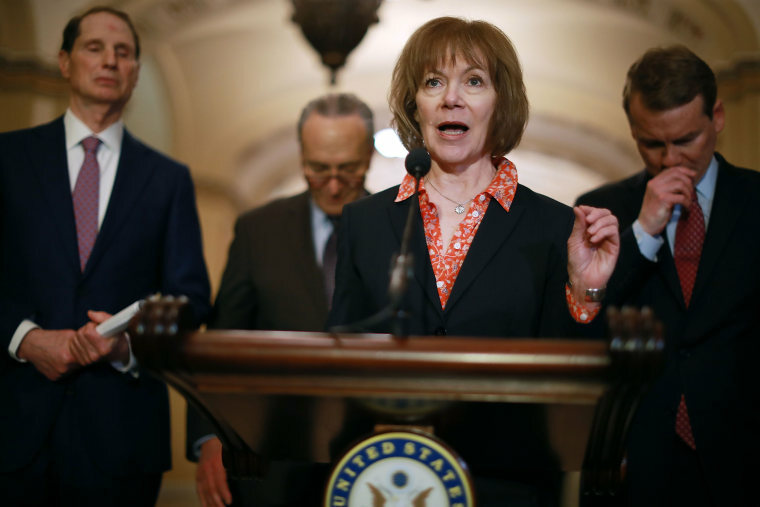 Nearly two-thirds of Minnesota likely voters — 64 percent — have a favorable view of Klobuchar, including 98 percent of Democrats, 63 percent of independents and 20 percent of Republicans. Half of Minnesotan likely voters haven't heard enough about Newberger to have an opinion of him. While Minnesota has the longest consecutive streak for any state when it comes to voting for Democrats for president, Trump’s success in blue-collar counties made it a squeaker in 2016. But much of that enthusiasm for Trump appears to have waned in the Gopher State, where just 38 percent of likely voters give him a thumbs-up, while 56 percent disagree. What’s more, 44 percent of likely voters strongly disapprove of the job he’s doing as president, while just 26 percent strongly approve. Among likely voters, more than half disapprove of him among independents (58 percent), suburban voters (59 percent), college graduates (66 percent), white voters (55 percent) and nonwhite voters (71 percent). On the question of which party should control Congress after the midterms, Democrats have the advantage among all likely voters (53 percent to 41 percent), independents (49 percent to 40 percent), women (60 percent to 34 percent), college graduates (62 percent to 34 percent), and suburban voters (57 percent to 37 percent). Republicans have the advantage among men (49 percent to 46 percent), noncollege grads (48 percent to 46 percent), rural voters (62 percent to 32 percent) and white evangelical Christians (64 percent to 28 percent). Three in 10 likely voters said they would be more likely to vote for a candidate who supported Trump's Supreme Court nominee, Justice Brett Kavanaugh, while 48 percent said they would be more likely to vote for a candidate who opposed his confirmation. Likely voters cite health care as the most important factor in deciding their vote. A third — 32 percent — name health care as their top issue, while 21 percent name the economy, 11 percent name immigration, and 9 percent call abortion their top issue. The survey of 949 adults was conducted Sept. 30-Oct. 4. The margin of error for all adults is +/- 4.0 percentage points. The margin of error for 637 likely voters is +/- 4.9 percentage points.